With a stay at Tiquicia Lodge in Vara Blanca, you'll be within a 15-minute drive of La Paz Waterfall Gardens and Poas Volcano National Park. This lodge is 3.9 mi (6.3 km) from Braulio Carrillo National Park and 2.8 mi (4.5 km) from Corso Lechería. Make yourself at home in one of the 6 guestrooms. Partially open bathrooms with showers feature complimentary toiletries and hair dryers. Conveniences include desks and coffee/tea makers, and housekeeping is provided daily. Take in the views from a terrace and a garden and make use of amenities such as complimentary wireless Internet access. 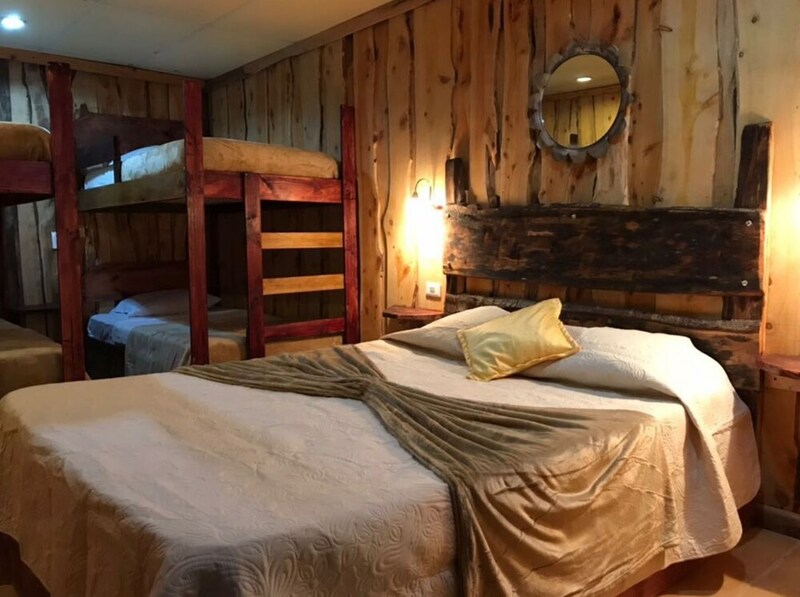 This lodge also features concierge services, an arcade/game room, and a picnic area. Getting to nearby attractions is a breeze with the area shuttle (surcharge). Satisfy your appetite for lunch or dinner at the lodge's restaurant, Colibries, or stay in and take advantage of the room service (during limited hours). Relax with a refreshing drink at one of the 2 bars/lounges. The lodge offers a restaurant. Guests can unwind with a drink at one of the lodge's 2 bars/lounges. Wireless Internet access is complimentary. This business-friendly lodge also offers a library, a terrace, and tour/ticket assistance. Onsite self parking is complimentary. A total renovation of this property was completed in March 2013. Tiquicia Lodge has designated areas for smoking. Colibries - This restaurant serves breakfast, lunch, and dinner.